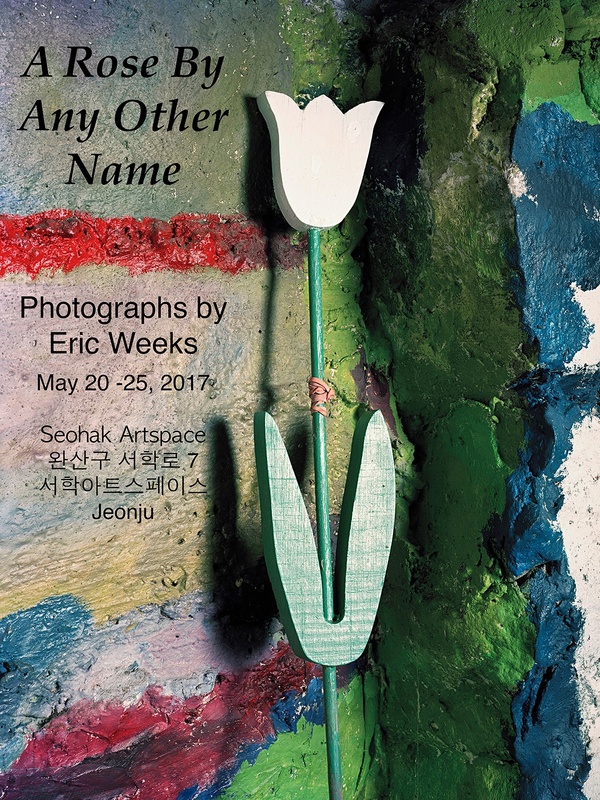 PCA&D Photo Chair Eric Weeks’s work is in a solo exhibition exhibition "A Rose By Any Other Name," at the Seohak Artspace in Jeonju, South Korea, May 20-27, 2017, in conjunction with the 10th Jeonju International Photo Festival. He will be showing twenty photographs, ranging in size from 40 x 50 inches to 16 x 20 inches. The exhibition contains a sub series "A Woman in White." Woman in White: "Drawing inspiration from Wilkie Collins' mid-19th century "sensation" novel, The Woman in White, this eponymous suite of images continues a long-term process of photographing my wife Stacy in varying female protagonist roles. Themes of empowerment and women controlling their own fate can be found in Collins' work as well as my own. Although we are separated by over 150 years, the social issues remain constant over time. "The color white has symbolized purity, innocence, virginity, and light in Western cultural productions from the Bible to cinema. In the early 20th century, the Suffragettes adopted white as a symbol of the women's rights movement. On the occasion of being the first woman nominated for the presidency of the United States, Hillary Clinton symbolically wore white at the Democratic National Convention in the summer of 2016." Earlier this year, Week's short film with collaborator Joshua Reiman, The Wind Dies The Sun Sets, a contemplative consideration of energy extraction and use in Pennsylvania, was selected as the winner of ikonoTV's open call for Art Speaks Out 2016, a curated video program about the environment. Weeks served as Exhibition Director for the 9th Annual Jeonju International Photography Festival, Jeonju, South Korea, held May 21-29, 2016. He was instrumental in creating a photography exchange, between students at PCA&D in Lancaster PA, and Kyungil University (KIU) in Gyeongsan, South Korea in order for the photography students from the two cultures to learn about each other through photography, while also gaining an understanding of the communicative power of the medium.